During recent years, traffic safety and driving comfort have continued to improve. One of the main contributors to this positive trend are advanced driver assistance systems, which help prevent accidents and enhance driving comfort. The continued development and widespread deployment of these systems in passenger cars is, to a large extent, pushed by consumer organizations that are focusing ever more strongly on active safety. This applies in particular to road users at high risk of injury, such as pedestrians, cyclists and motorcyclists, as well as to traffic scenarios in built-up areas. As of 2018, it seems increasingly unlikely that the Euro NCAP (European New Car Assessment Programme) "5-star" top rating, that many vehicle manufacturers aspire to, will be achievable using systems based on only a single sensor. In the future, it will be necessary to use sensor systems that go beyond the capabilities of today's concepts involving long-range radars or mono cameras. Only this way will make it possible to meet the expected requirements. The demands placed on the effectiveness of accident prevention systems are becoming ever more exacting. Among other things, it will be necessary to prevent accidental lane departures or collisions during lane changes. 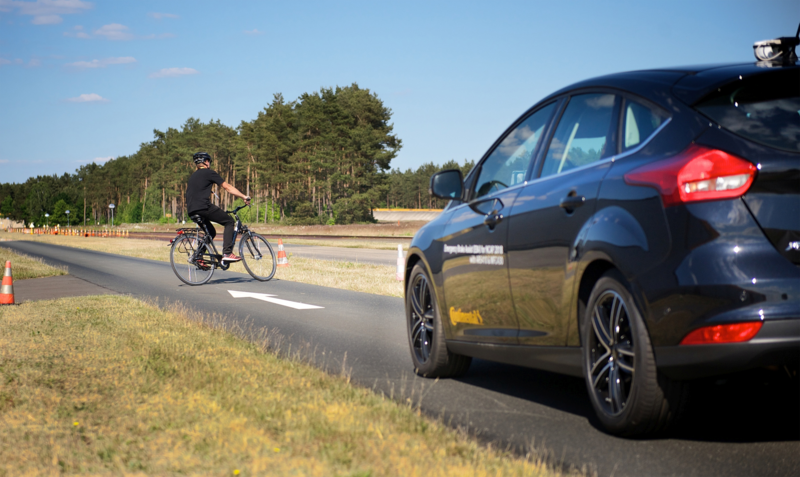 “With a scalable product family of radar sensors and mono cameras, we are providing a comprehensive product portfolio to help automobile manufacturers as they reach for more stars in the Euro NCAP rating,” explained Karl Haupt, Head of Continental's Advanced Driver Assistance Systems business unit. The capability to detect stationary objects without the help of a camera system emphasizes the performance of the Advanced Radar Sensor ARS 410. 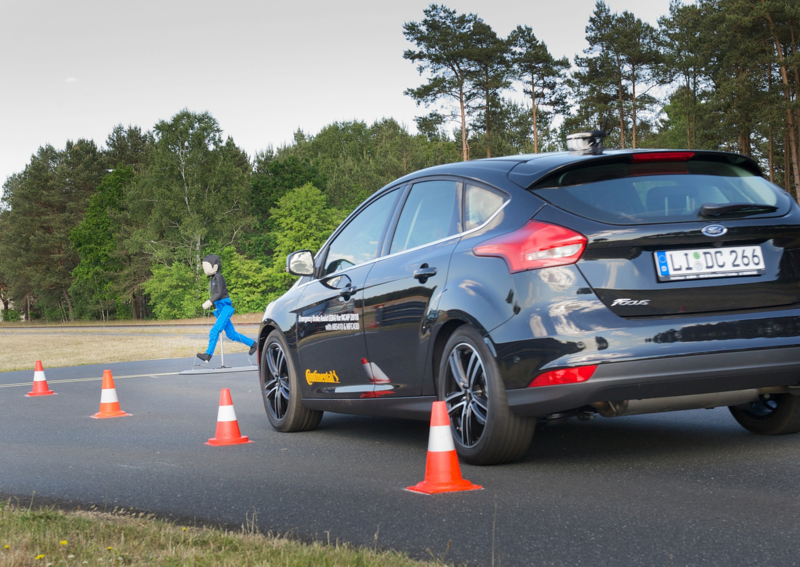 According to Euro NCAP's 2020 Roadmap, the test scenarios used as of 2018 will be so varied and demanding that a multi-sensor concept (with sensor fusion) will be necessary in order to meet the requirements. This is particularly relevant with regard to actual effectiveness on the road, because the actual parameters there are far too varied to be mapped and standardized in one test scenario. If Vision Zero – the dream of accident-free driving – is to be achieved, then the behavior of driver assistance systems in the field – that is to say, under real traffic conditions – has a vital role to play. This is because the judgment of whether or not Vision Zero has been achieved will not be decided on test sites around the globe but in real-life driving situations. As a result, the high availability, robust construction and reliability of the decisions made by driver assistance systems will be crucial. One thing is clear: Using a high-availability, robust system, it is possible to prevent more accidents. Based on the experience it has acquired since 1999 in the field of the emergency braking systems that are in worldwide use, as well as its knowledge of the physical limitations and strengths of individual sensor technologies, Continental has made radar the key component of its predictive safety systems. Cameras are used as the ideal complementary component in order to cover as many accident scenarios as possible, including accidental lane departures, since the mono camera not only recognizes lane markings but also detects road edge indicators such as curbstones and crash barriers. In addition to lane keeping, it will be a straightforward task to implement other functions such as traffic sign recognition or intelligent headlight control. In these solutions, the mono camera will be offered as a scalable platform on the basis of which one or more functions can be implemented depending on the manufacturer's requirements. As an optical sensor, the physical limitations of a camera are clearly defined: If there is insufficient contrast between the pixels – due to overexposure or inadequate lighting – then reliable object identification is no longer possible. Because they are both suitable for specific tasks, the two technologies both have their advantages. Accordingly it is a combination of the two specialized sensor technologies within a fusion-oriented approach that will make enhanced assistance functions possible in the future. Consequently, the combination of a long-range radar and mono camera, for example, will permit redundant object recognition and make improved, autonomous emergency braking at speeds of up to 80 km/h possible.